As a homeowner, you get accustomed to keeping your heating and air conditioning system properly maintained with help from a qualified repair service. The same principle holds true with commercial HVAC systems. The only difference is that the systems are much more complicated and require much swifter and more elaborate responses. 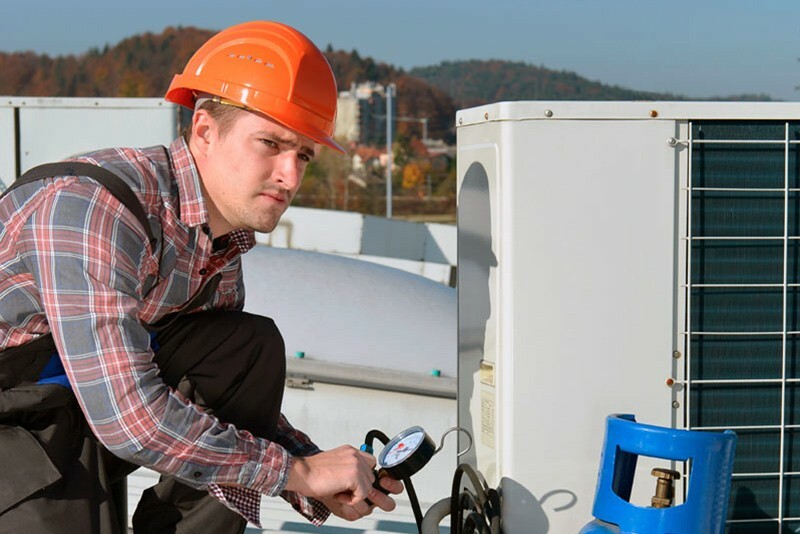 A commercial HVAC system needs care and repairs too, but it needs someone who understands the unique requirements or such a system and the specific methods used to take care of the problem. At McCreery & Sun Of Colorado, our experienced staff has extensive knowledge of Commercial HVAC systems, and can help you not only install a new one or replace an old one, but keep it maintained year in and year out, and perform swift repairs when trouble strikes. If you own a business or work as an office manager in Greeley, CO, keep our number in mind. We’ll be there in a flash when you need us! Look to McCreery & Sun Of Colorado for quality commercial HVAC services. The most obvious difference between residential and commercial HVAC services is the size of the space that needs to be heated and cooled. Commercial space needs to support dozens, and sometimes hundreds of customers and employees, while residences are limited to a tiny fraction of that. Commercial spaces also need to maintain stricter temperature control to protect sensitive equipment such as computers. And when the system breaks down, you need to fix it quickly. McCreery & Sun Of Colorado has the skills to handle all of that, and since we serve the whole of Greeley, CO, you know we’ll be there in a flash. Here’s a quick list of the services we offer. Even in the winter, commercial spaces can get hot and oppressive during the way, as computers and other equipment generate heat and large numbers of customers and employees elevate the temperature. A quality commercial air conditioning system is helpful throughout the year! Heating is vital during the cold months of winter, when freezing temperatures can damage products, harm equipment like computers, and make your commercial space uncomfortable for employees and customers alike. You can rely on a good services to keep your commercial heating system running no matter what the temperature is like outside! Along with heating and cooling, commercial indoor air quality is very important to your business. You need to keep dust down to protect electronic equipment, as well as humidifying dry air in the winter and dehumidifying muggy air in the summer. The pros at McCreery & Sun Of Colorado can do it all, so call us today! A commercial HVAC system starts with installation, but beyond that, it starts with good design. Every office and commercial space is different. Not only does your system need to respond to the demands of the moment, but it needs to be able to easily shift in the event the occupants or their business changes. Call us for quality design work in Greeley, CO. Here in Greeley, CO, you have a choice as to who you call for commercial HVAC services. You need a company that not only knows how to do the job, but can respond promptly in the event of an emergency, and will keep your company open and operating no matter what the problems with the system may be. At McCreery & Sun Of Colorado, we’re NATE–certified and our company is geared towards making our clients happy the first time, all the time. For a dependable partner in keeping your commercial HVAC system running properly, contact us today!